Fuji Touring size 54cm (medium) new last year has seen little use. 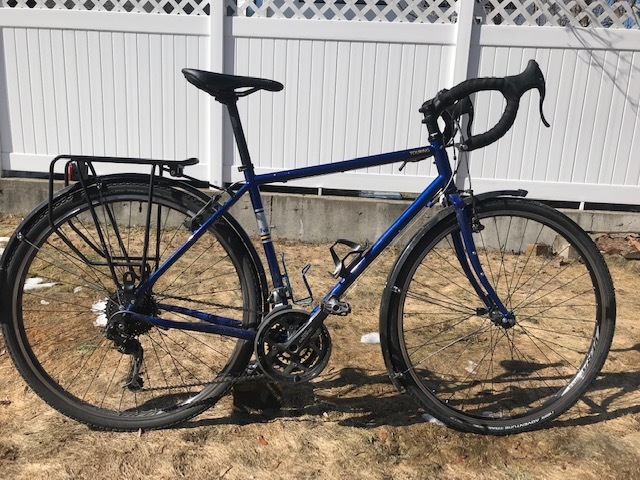 good condition bike is stock except tires are a vittoria adventure trail (rough road/gravel tire). bike comes with back rack and fenders.